Qvevri wine-making is practised throughout Georgia, particularly in village communities where unique varieties of grapes are grown. 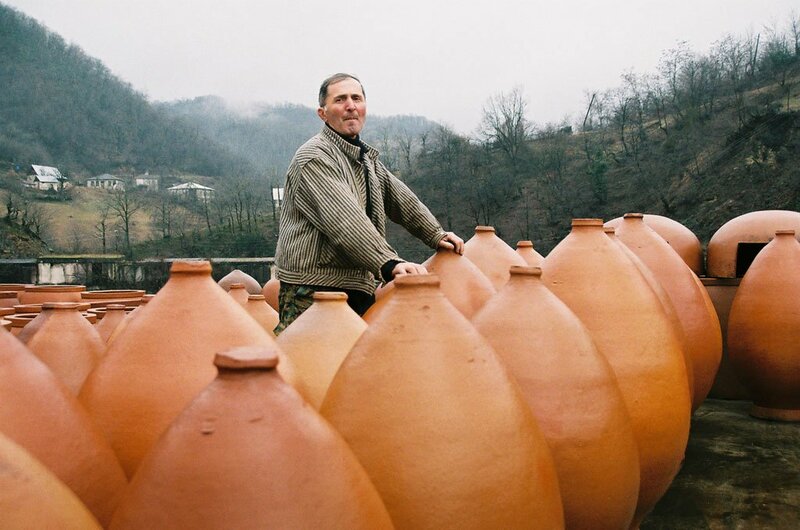 The Qvevri is an egg-shaped earthenware vessel used for making, ageing and storing the wine. Knowledge and experience of Qvevri manufacture and wine-making are passed down by families, neighbours, friends and relatives, all of whom join in communal harvesting and wine-making activities. Children learn how to tend the vines, press grapes, ferment wine, collect clay and make and fire Qvevris through observing their elders. The wine-making process involves pressing the grapes and then pouring the juice, grape skins, stalks and pips into the Qvevri, which is sealed and buried in the ground so that the wine can ferment for five to six months before being drunk. h wine and vines frequently evoked in Georgian oral traditions and songs.